Mooring whips are a smart way to create a zone of safety between the dock and boats for a broad range of docking options. Protect against dock and seawall damage with mooring whips and lines. Give your equipment the space it needs to be safe from tide, wake, wave, and wind-driven collisions. Protect boats up to 75" long with our heavy duty mooring whips that prevent dock strikes—safeguarding both your dock and your boat. Give yourself the protection you deserve to keep your investment and business safe. Heavy duty mooring whips come with strong, fixed bases to reliably keep the pulls up and out of the way of your supplies or overhead equipment. Rocker arms allow them to adjust with the tide, so you only need one set no matter what time or season. 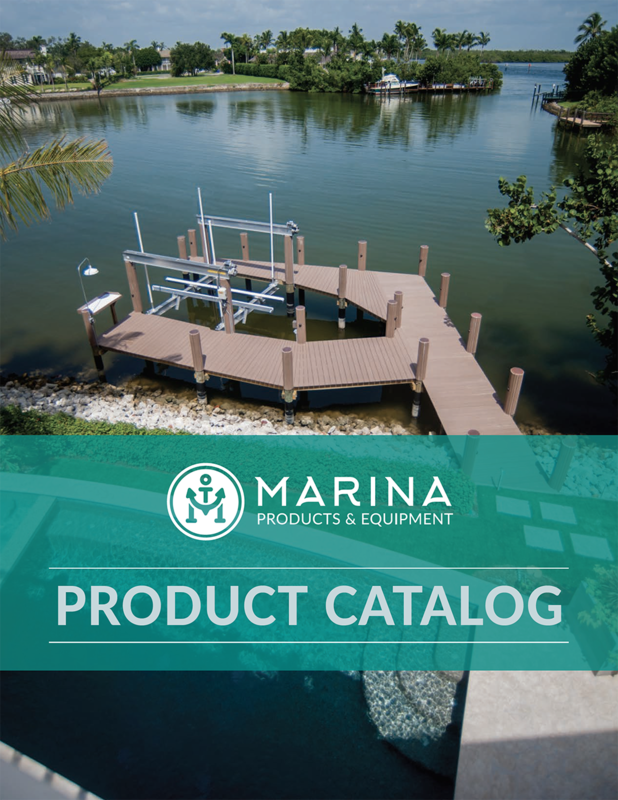 Marina Products & Equipment carries a wide range of mooring whips and lengths to support the specific boats you commonly see. We also provide a simple take-apart coupler to make safeguarding your equipment simple and effective. Keep your dock and customers happy by protecting boats up to 33" with a leading mooring whip from Marina Products & Equipment. Each pole comes with a fixed angle base so that it can safeguard equipment including runabouts, center consoles, ski boats, and bass boats—hitched up with traditional mooring conditions. It’s always possible to protect what’s in your marina, and we’ll help you do that with high-quality whips that are especially designed for straightforward mounting and use. Our standard mooring whips package comes with two bases and poles, nylon lines with tension adjusters, dock lines, and a complete mounting kit. It’s the right security your personal dock or major marina needs to secure your assets.